Signage Sunday: Are you making googly eyes at me? I very nearly missed the fabulous detail on this sign. 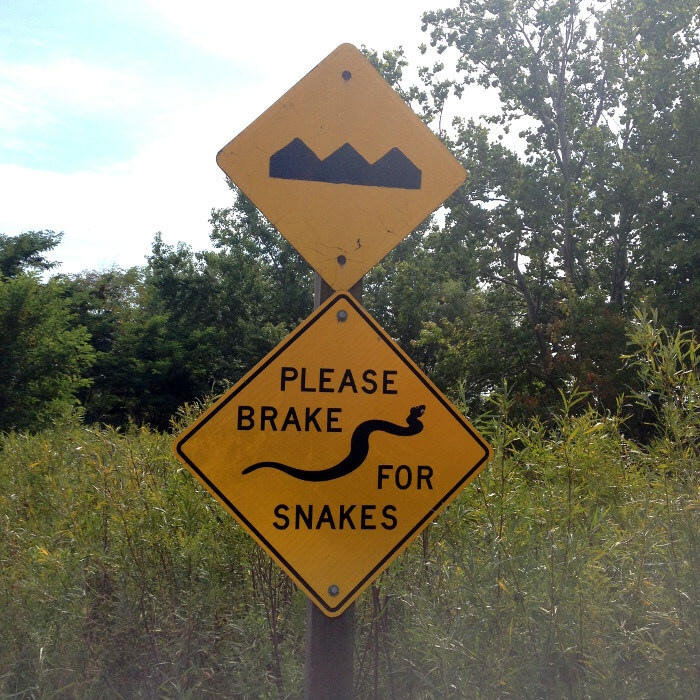 Admittedly the entire concept of ‘braking for snakes’ amused me enough to begin with. I mean really, would you actually see them in enough time to be able to guarantee you’d not squashed them flat. And for many people, would you want to? But seeing as we were on a bit of a parkland jutting into Lake Ontario, you hope that people would be cruising quite slowly. 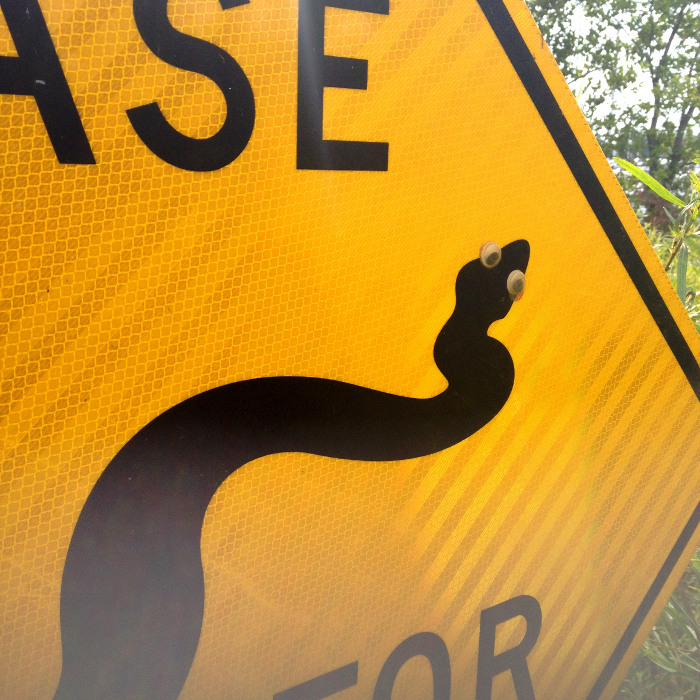 So perhaps, snakes have a chance of considerate drivers braking for them as they make a dash for the grasslands. No, what I nearly missed… was the small augmentation that my pal pointed out. Yes, look at a bit closer. 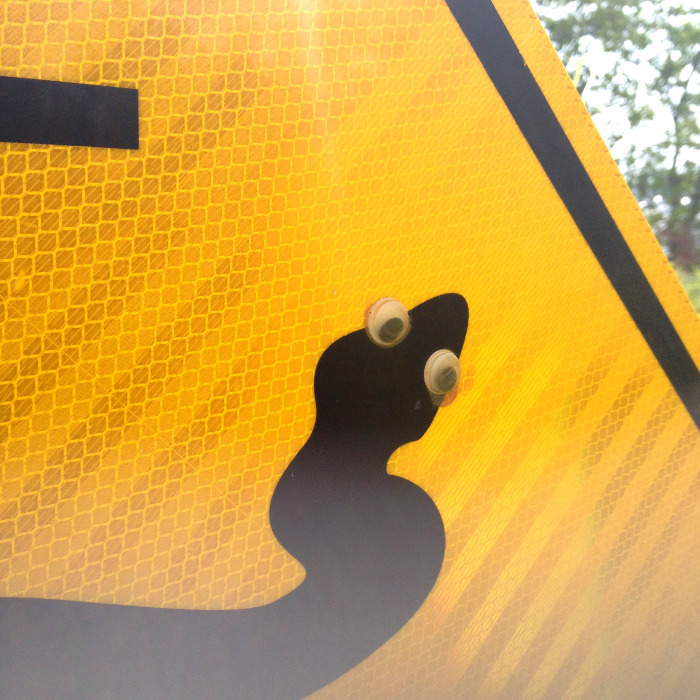 Yup, there they are – googly eyes, stuck to the sign. I like to think that someone trudged out the 4k from the nearest bar to get those stuck on. I really hope so. Moments like that make me truly love that wholesome, slightly disruptive Canadian spirit. Carry on Canada, you’re amusing me. Signage Sunday: Would you like bacon with that?